Sydney homes can especially be prone to fleas. Fleas are parasite of mammals and birds, they are blood suckers. Adult fleas are quite active; they are a domestic nuisance and carry diseases. Fleas are irritating and in particular when the climate conditions are favourable, fleas prefer humid, warm conditions. The adult female lays 4-8 eggs after each meal of blood, therefore they can create huge populations by laying hundreds of eggs during their life cycle. Adult fleas may live up to 500 days and can live without feeding for months. Most eggs are laid on the host being the animal your pet. Flea egg laying often occurs in sleeping area of your pet, the eggs hatch in 2 – 14 days. The flea larva are usually small worm like they fed on organic material, crumbs, human skin scale and any debris that accumulates deep in your carpet, pet bedding, cracks in floorboards, gardens/lawns and soil in sub floors. Fleas are cause severe itching and are carriers of serious diseases and many people are allergic to fleas. Hygiene plays a huge part in flea management and with good hygiene the home owner will notice a difference. 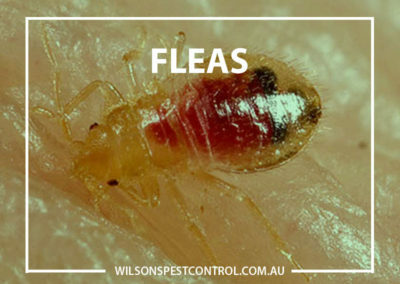 Areas the fleas infest in high number is usually the lounge room, bedrooms, lawn areas, pet bedding, lounge chairs. 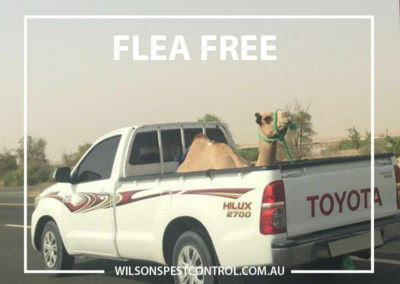 Home owners can help reduce the risk of the flea infestation by regularly vacuuming all areas, washing your pets & their bedding using products registered for flea control only. Particular attention needs to be paid when vacuuming carpet edges, under furniture, floors are to be swept and floorboards cracks vacuumed. Make sure you dispose of the waste in sealed plastic bags after vacuuming. Wilson’s Pest Control provide a Chemical treatment which is done by treating infested areas with products specifically designed to kill fleas, there are a variety of applications like dusting, chemical surface spraying of the lawn, sub-floor, internal and external areas and the pet housing. After a flea treatment you will notice an improvement after 2 weeks. 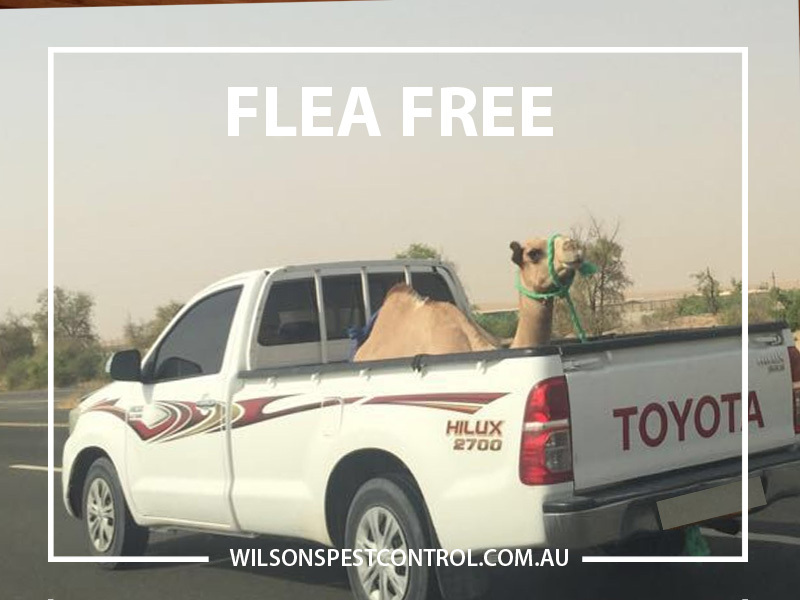 Put an end to Fleas by calling Wilson’s Pest Control today on 0451 590 398 if you are worried about Fleas in your home or business.